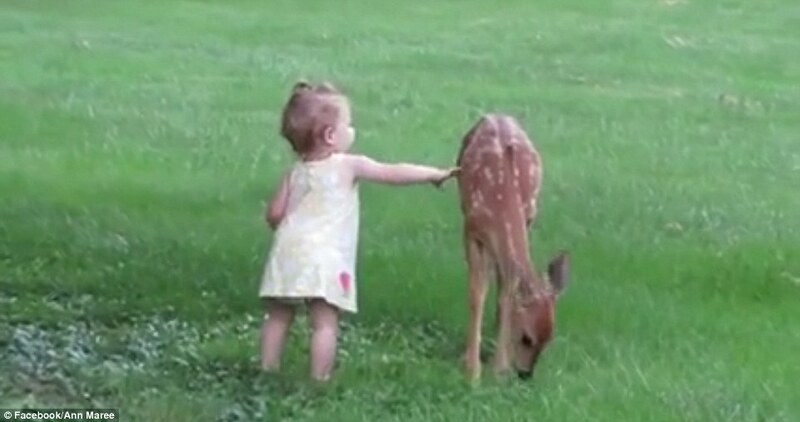 A mom captured the adorable moment a toddler waddled up to a young deer and petted the animal in a backyard. While all parents try to raise their children to be responsible adults, it's often those very youngsters who have the most to teach grown-ups about what it means to be compassionate beings. 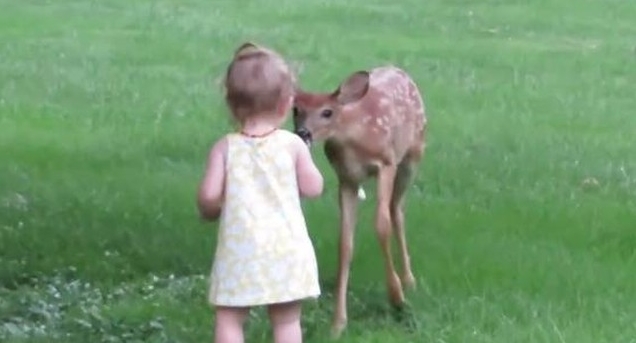 Ann Maree, of Omaha, Nebraska, recently captured this incredible footage of her 15-month-old daughter's magical encounter with a young deer who dropped by their house for a visit. "It was so amazing," Marree wrote in a post to her local news station, "even the ice cream man stopped to watch their interaction." Need to go 'aww' ? Well, this should do it. 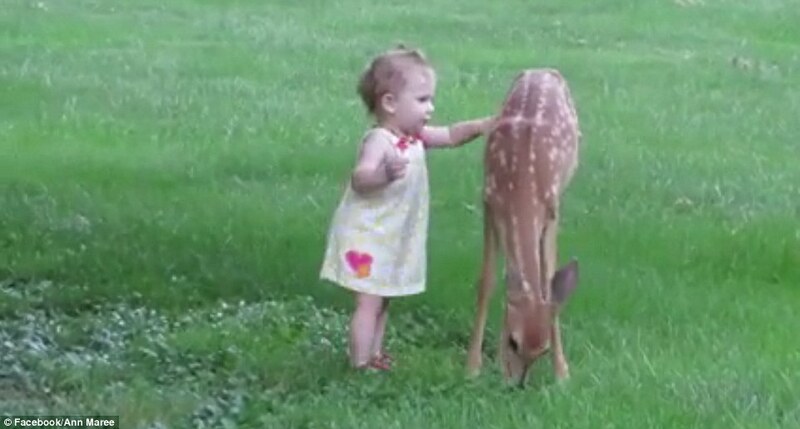 An #Omaha toddler got an up-close animal encounter over the weekend. Thanks to viewer Ann Maree for sending in the video! 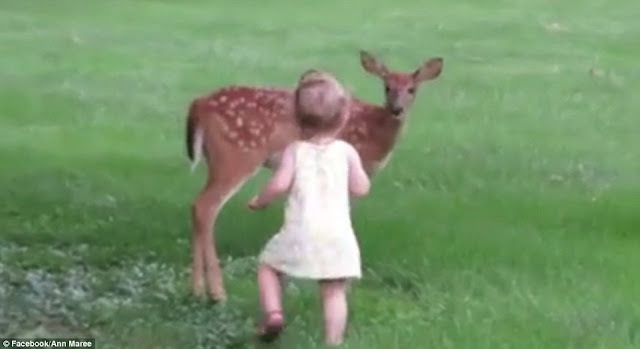 Responses to "Unbelievably cute moment timid deer allows little girl to get close and play with it "